The 2014 PokerStars and Monte-Carlo® Casino EPT Grand Final €25,000 High Roller came to a close on Friday. The final nine players of a 214-entry field (159 unique entries that accounted for 55 reentries and a prize pool of €5,243,000) returned to the Salles des Etoiles room at Le Sporting to play down to a winner, and after a mere five hours of play, high roller wizard Philipp Gruissem walked away with the €993,963 first-place prize and a stunning watch from luxury Swiss brand SLYDE, the Official Watch Sponsor for EPT Season 10 Main Events and High Rollers. The win also moved Gruissem to the top of the all-time German money list ahead of 2011 World Series of Poker Main Event champ Pius Heinz. Day 3 action began in Level 22 (12,000/24,000/3,000), and it didn’t take long for the first elimination to occur. It happened when action folded to World Series of Poker bracelet winner Pascal Lefrancois on the button and he opened for 52,000. Chip leader Davidi Kitai then three-bet to 133,000 from the small blind, the big folded, and Lefrancois announced that he was all in for roughly 600,000. Kitai snap-called. Lefrancois had picked a bad time to shove as Kitai had woken up with a powerhouse hand. The flop was no help to Lefrancois, but he did pick up a gutshot straight draw on the turn. Unfortunately for him the blanked on the river and he hit the rail in ninth place for €113,250. In Level 23 (15,000/30,000/4,000) China’s Chenxiang Miao followed exited in eighth place when his flush draw failed to get their against Kitai’s trips, and he was followed out the door by Stephen Chidwick, who lost the last of his chips after running pocket fours into Scott Seiver’s tens. In Level 24 (20,000/40,000/5,000), Martin Finger, who won the EPT10 London £50,000 Super High Roller for £821,000 last year, moved all in from the cutoff with the , and Kitai called from the big blind with the . 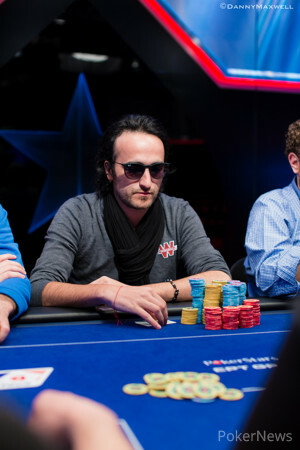 The nines held and Finger took home €256,400 for his sixth-place finish. From there, recent World Poker Tour Championship runner-up Byron Kaverman fell in fifth place when his ran into the of Gruissem, and John Juanda, who was the short stack at the start of the final table, bowed out in fourth after getting unlucky in two hands. Kitai was the short stack in three-handed play, and he soon got his chips in holding the against the of Gruissem. The Frenchman held through the flop and turn, but then a lady spiked on the river to give Gruissem the win. Kitai took his leave in third place and earned €526,400 for his performance. At that point Gruissem and Seiver, who faced off against one another in heads-up play last October in the WPT Alpha8 £100K Event, opted to strike a deal that saw the former take home €993,963 and the latter €857,637. As for the title and the SLYDE watch, the two agreed to go all in blind until a winner was determined. It took just one hand, and you can read about that below. 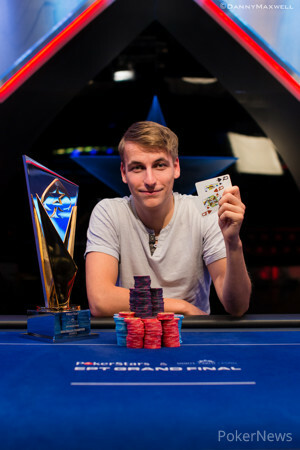 Congratulations to Philipp Gruissem, the 2014 PokerStars and Monte-Carlo® Casino EPT Grand Final €25,000 High Roller champion. That does it for our coverage from this event, but the Main Event has yet to crown a winner. Follow our live updates from that tournament by clicking here. Sure enough, the two moved in blind on the very first hand of heads-up play. Scott Seiver immediately announced that he was all in, and Gruissem had a look at his cards, though it was obvious he just forgot that he wasn't suppose to look at his cards. "Alright, I call," the German said to make it official. Seiver then tabled the and began laughing. Gruissem then said something along the lines of how bad Seiver was to move all in with such a hand, and then waited a beat before tabling his . It was a good-natured slowroll, and both players shared a laugh. The in the window got Seiver excited, but his enthusiasm died down when it was followed by the humdrum and . The turn gave Seiver a wheel draw, but it didn't come in as the blanked on the river. "Alright, now you have to stay here and deal with all of this stuff," Seiver said with a smile before motioning to the various media around the table. A few more laughs and a handshake, and it was all over. The dynamic duo also agree to go all in blind the first hand (and subsequent hands thereafter if need be). We'll see if they hold to that part of the agreement. If you didn't know much about who is at the final table of the EPT10 Grand Final, Jennifer Robles has the scoop on the elite 8, in which seven of them qualified for the Main. On the first hand back after the break opened on the button for 130,000. 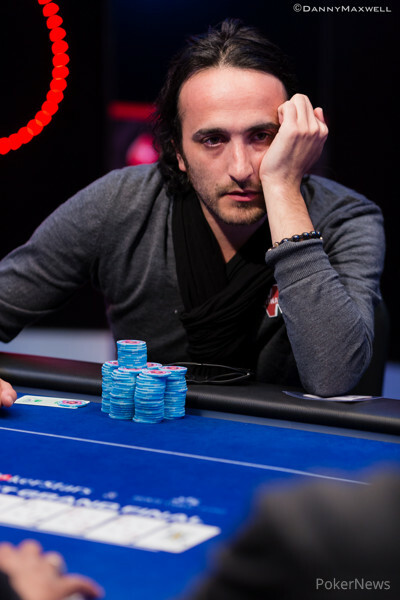 Davidi Kitai squeezed his cards and announced that his super short stack was all in. Scott Seiver folded the big blind and Gruissem made the call. Gruissem said that he was happy enough with that. The cards ran out with the river delivering the final blow to Kitai sending him home in third place. They all shook hands and got ready for the heads up match. In the last hand of Level 25, Scott Seiver limped from the button and Philipp Gruissem, who held a commanding chip lead, moved all in from the small blind. 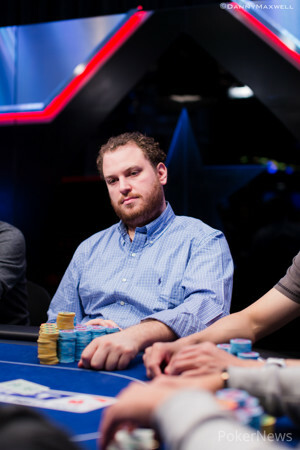 Davidi Kitai folded the big, and Seiver snap-called off for 1.66 million. Seiver had successfully trapped the German, and he reaped the reward as the board ran out a safe . Ship the double to Seiver. Jennifer Robles finds the chip leader heading into the final table of the €25,000 high roller, Winamax Team Pro Davidi Kitai. He discusses how difficult the field is and if he's been using his feet tells to get ahead.